V : How long have you been working together on Birdz Children? S & C: We started working on the project during a joint maternity leave a year and a half ago. So we launched our brand less than a year ago, in March 2017. V: What triggered your desire to start a children's clothing business? S & C: A brain bubble;). We each have 3 children and a passion for fashion. 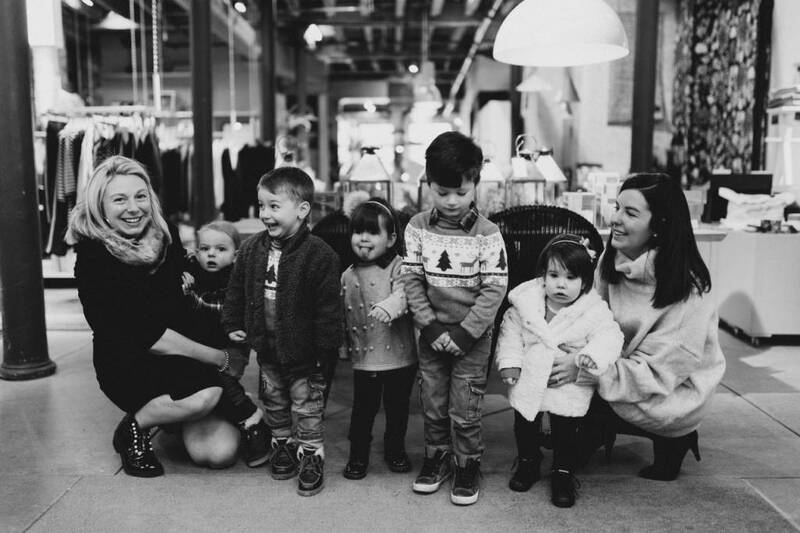 The idea came to us from the fact that we had difficulty finding styles of clothing for our children that is to our tastes : adult fashion, but adapted for our children. V: What vision and values ​​did you want to infuse into your brand? S & C: Our vision is to make our creations live internationally by helping promoting Montreal's fashion around the world. Definitely children are at the heart of the company's values. Inculcate to our children the passion, the desire to go far and to realize their own dreams. V: What education did you have to know about fashion and how does it help you in your day-to-day job? S & C: Our academic courses are not related to fashion. We are both from the business community, each with complementary skills. Caroline is a chartered accountant by training and has practiced in a large firm in MTL. Stéphanie holds a master's degree in marketing and has developed sales expertise in two French multinationals based in Montreal. V: As we know, starting a business is not an easy thing to do. Did you encounter any difficulties along the way? And if so, how did you overcome them? S & C: Every day is a challenge, there's always a new thing to learn all the time! Juggling with multiple balls at the same time is the biggest of all. Starting a business, having 6 children (3 each), making your way in an area that was unknown to us at first, fierce competitors and so on. Fortunately, Quebec entrepreneurs are so well supported with many aids and association programs such as "la grappe". V: How do you manage to reconcile your family life and your entrepreneurial lives? What are the qualities required to be a good entrepreneur? S & C: Definitely the organization of our lives is paramount so that every minute of our day is highly productive. We won't hide it is very breathless sometimes, but SO stimulating! V: In response to the growing success of your business, what improvements have been made to the brand since its launch? S & C: Oh, a lot of improvements and continual adaptation. That it is the accuracy of execution at the level of the production, the adaptation of the cuts, the creative inspiration, the enlargement of the sizes offered. We are very open and listening to feedback from our sales point and consumers so we are continually adapting and evolving. V: What is your vision of the future for the brand - where do you want to bring your brand in 5 years? S & C: Make Birdz fly beyond the borders! The first year we opened the Canadian market, for the year 2, currently underway, we are opening our first outlets in the United States and then we aim for Europe.